Passengers with moments to live screamed in terror and the pilot frantically pounded on the locked cockpit door as a 27-year-old German co-pilot deliberately smashed a jet carrying 150 people into a mountainside. Passengers with moments to live screamed in terror and the pilot frantically pounded on the locked cockpit door as a 27-year-old German co-pilot deliberately and wordlessly smashed an Airbus carrying 150 people into an Alpine mountainside. The account Thursday of the final moments of Germanwings Flight 9525 prompted some airlines to immediately impose stricter cockpit rules — and raised haunting questions about the motive of the co-pilot, whose breathing never wavered as he destroyed the plane and the lives of those aboard. "We have no idea of the reason," Marseille Prosecutor Brice Robin said, revealing the chilling conclusions investigators reached after reconstructing the final minutes of the flight from the plane's black box voice recorder. Co-pilot Andreas Lubitz's intention was "to destroy this plane." French, German and U.S. officials said there was no indication of terrorism. The prosecutor did not elaborate on why investigators do not suspect a political motive; instead they're focusing on the co-pilot's "personal, family and professional environment" to try to determine why he did it. 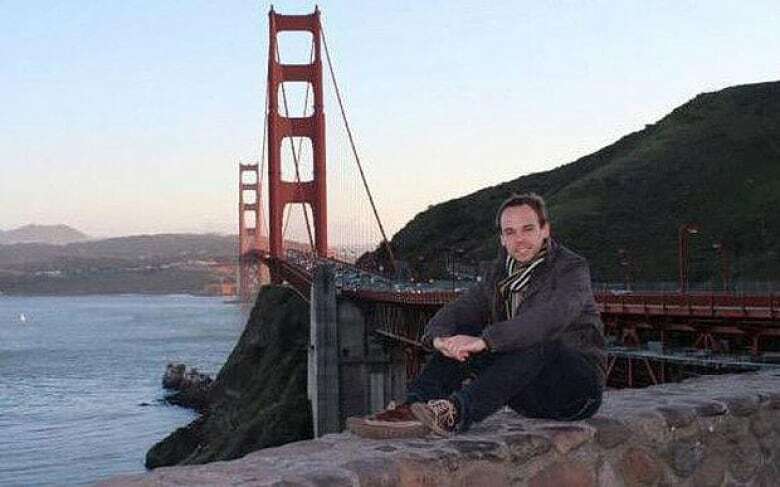 This photo taken from Facebook shows Andreas Lubitz. A French prosecutor says Lubitz, 28, deliberately caused Germanwings Flight 4U9525 to crash. (Facebook)German Chancellor Angela Merkel, whose nation lost 75 people on the flight, said the conclusions brought the tragedy to a "new, simply incomprehensible dimension." Devastated families of victims visited the crash scene Thursday, looking across a windy mountain meadow toward where their loved ones died. The Airbus A320 was flying from Barcelona to Duesseldorf on Tuesday when it lost radio contact with air traffic controllers and began plunging from its cruising altitude before slamming into the mountainside eight minutes later. The prosecutor laid out in horrifying detail the final sounds heard in the cockpit extracted from the mangled voice recorder. Lubitz, courteous in the first part of the trip, became "curt" when the captain began the mid-flight briefing on the planned landing, Robin said. The pilot, who has not been identified, left the cockpit for an apparent bathroom break, and Lubitz took control of the jet. He suddenly started a manual descent, and the pilot started knocking on the door. There was no response. "It was absolute silence in the cockpit," the prosecutor said — except for the steady breathing he said indicated Lubitz was not panicked, and acted in a calm, deliberate manner. The A320 is designed with safeguards to allow emergency entry into the cockpit if a pilot inside is unresponsive. But the override code known to the crew does not go into effect if the person inside the cockpit specifically denies entry. Instrument alarms went off, but no distress call ever went out from the cockpit, and the control tower's pleas for a response went unanswered. Just before the plane hit the mountain, passengers' cries of terror could be heard. Their families "are having a hard time believing it," he said, after briefing some of them in Marseille. Many victims' relatives visited an Alpine clearing Thursday where French authorities set up a viewing tent for family members to look toward the site of the crash, so steep and treacherous that it can only be reached by a long journey on foot or rappelling from a helicopter. Lubitz's family was in France but was being kept separate from the other families, Robin said. German investigators searched his apartment and his parents' home in Montabaur, Germany, where the curtains were drawn. The prosecutor's account prompted quick moves toward stricter cockpit rules — and calls for more. Airlines in Europe are not required to have two people in the cockpit at all times, unlike the standard U.S. operating procedure, which was changed after the attacks of Sept. 11, 2001, to require a flight attendant to take the spot of a briefly departing pilot. Federal Transport Minister Lisa Raitt announced this afternoon that all Canadian airlines would be required to have at least two flight crew members in the cockpit at all times. Germany's biggest airlines, including Lufthansa and Air Berlin, as well as low-cost European carriers Easyjet and Norwegian Air Shuttle also announced new policy. "The flight deck is capable of accommodating three pilots and there shouldn't ever be a situation where there is only one person in the cockpit," said James Hall, a former chairman of the National Transportation Safety Board, referring to the "jump seats" all airliners are equipped with. Others questioned the wisdom of sealing off the cockpit at all. "The knee-jerk reaction to the events of 9/11 with the ill-thought reinforced cockpit door has had catastrophic consequences," said Philip Baum, London-based editor of the trade magazine Aviation Security International. Neither the prosecutor nor Lufthansa — the parent company of low-cost carrier Germanwings — indicated there was anything the pilot could have done to avoid the crash. Robin would not give details on the co-pilot's religion or his ethnic background. German authorities were taking charge of the investigation into Lubitz. 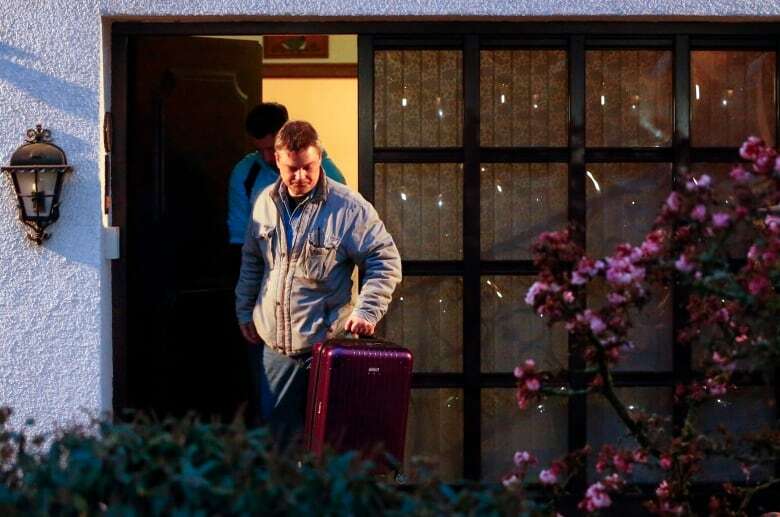 German police officers leave the house believed to belong to the parents Andreas Lubitz in Montabaur, March 26, 2015. Authorities also searched a property in the city of Duesseldorf, where Lubitz reportedly kept a property. (Kai Pfaffenbach/Reuters)Lufthansa CEO Carsten Spohr said that before Thursday's shocking revelations, the airline was already "appalled" by what had happened in its low-cost subsidiary. "I could not have imagined that becoming even worse," he said in Cologne. "We choose our cockpit staff very, very carefully." Lubitz joined Germanwings in September 2013, directly out of flight school, and had flown 630 hours. Spohr said the airline had no indication why he would have crashed the plane. He underwent a regular security check on Jan. 27 and it found nothing untoward, and previous security checks in 2008 and 2010 also showed no issues, the local government in Duesseldorf said. Lufthansa's chief said Lubitz started training in 2008 and there was a "several-month" gap in his training six years ago. Spohr said he couldn't say what the reason was, but after the break, "he not only passed all medical tests but also his flight training, all flying tests and checks."